A broader based Hex Pendant light. This larger size light has 3 lamps, creating a strikingly architectural silhouette for internal settings. 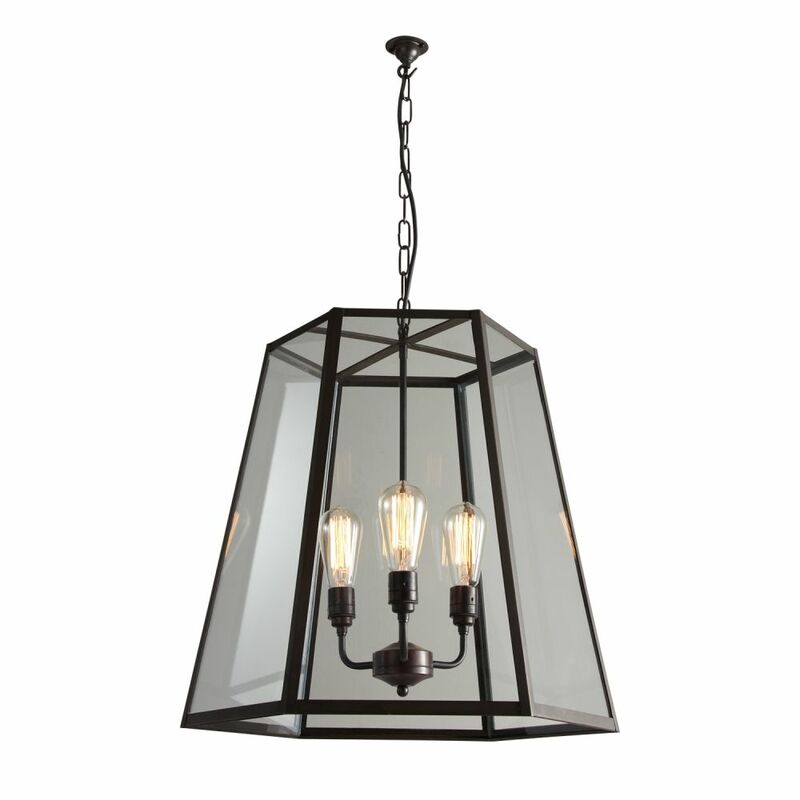 Elegant and robust, the Hex is available in a weathered brass finish, with clear glass.